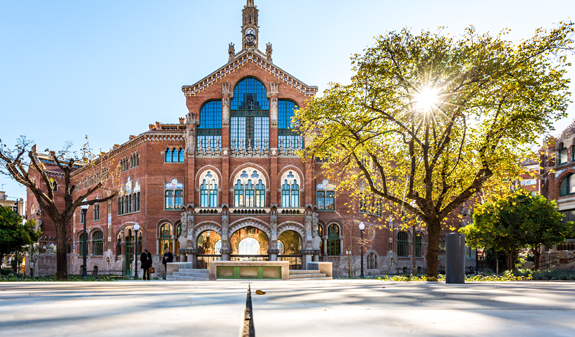 We invite you to discover the Recinte Modernista de Sant Pau, a unique landmark of outstanding beauty and Unesco World Heritage Site. 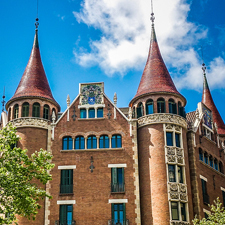 Very near the Sagrada Família, you'll find an art-nouveau gem, the Recinte Modernista de Sant Pau. 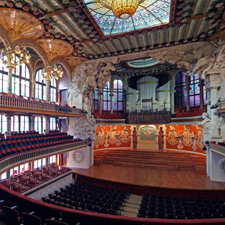 Designed by the architect Lluís Domènech i Montaner, it was built between 1905 and 1930. 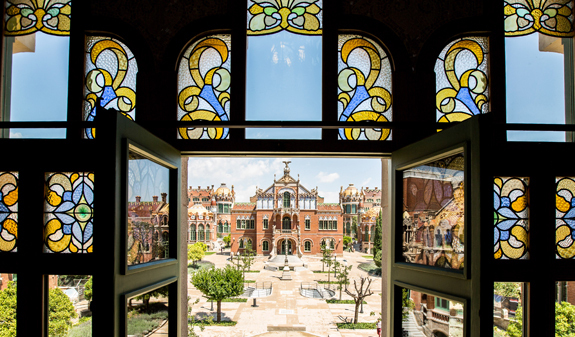 After housing the Hospital de la Santa Creu i Sant Pau (one of Europe's oldest healthcare centres) for more than eight decades, a restoration project commenced on the old pavilions in 2009. 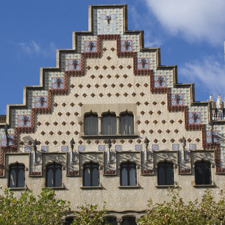 This process has restored the beauty of one of the iconic works of Catalonia's home-grown art nouveau, modernisme. 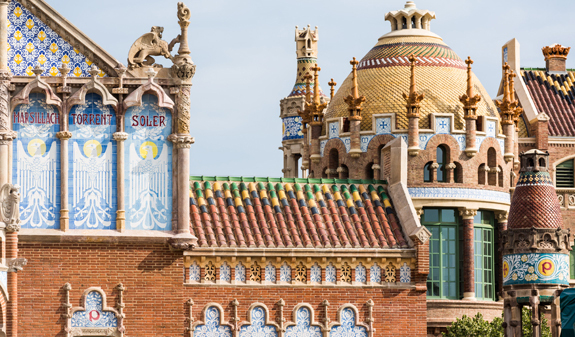 The tour begins in the exhibition space in the Sant Salvador Pavilion takes you on a journey throughthe history of medicine in Barcelona. 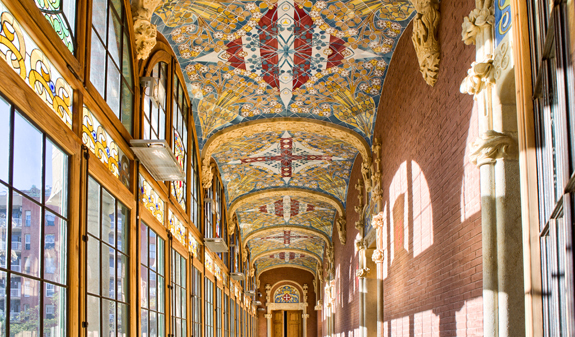 The upper floor of the building concentrates particularly on the figure and work of Lluís Domènech i Montaner. Sant Salvador Pavilion marks the start of a recommended route around the outdoor spaces of the Art Nouveau Site that reproduce the garden city model designed in the early 20th century. 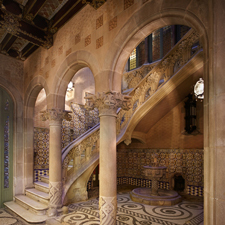 You can also enter the Sant Rafael Pavilion and see its interior, moreover, you can take the underground tunnels communicating the various buildings and visit the most representative heritage spaces of the Administration Pavilion. 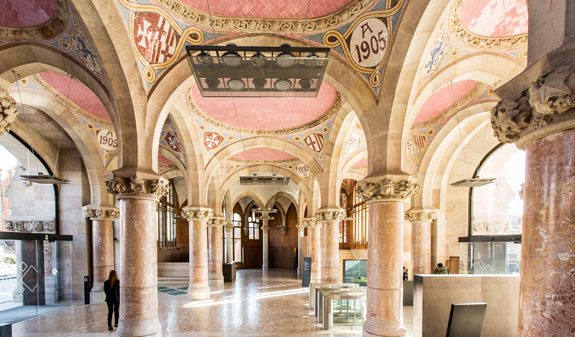 Self-guided or audio guided (English, Catalan, Spanish, German, Russian and Japanese) tour of the Sant Pau Recinte Modernista. April to October: Monday to Saturday, from 10am to 6.30pm. Sunday and public holidays, from 10am to 2.30pm. Closed: 1/1, 6/1 and 25/12. Meeting point: Ticket office in Pavelló de l'Administració. c/Sant Antoni Maria Claret, 167. Metro: L5, Sant Pau- Dos de maig stop. Bus: H8, 19, 20, 45, 47, 50, 51, 92, 117 and 192. Free admission under 12s, must be accompanied by an adult, and for people with an official disability certificate. Reduced ticket: for 12 to 29 years old and over 65 years old. Proof of age must be provided when purchasing a reduced ticket. Ticket validity: 3 moths from date of purchase.